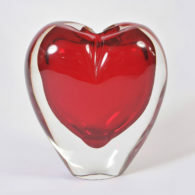 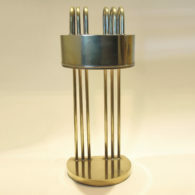 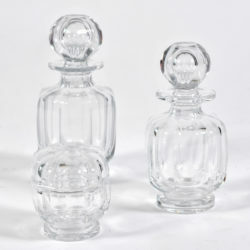 22cm tall x 11cm diam., 20cm tall x 9cm diam. 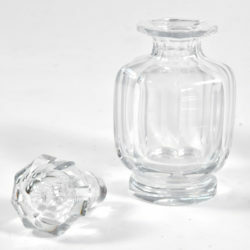 and 10cm tall x 8cm diam. 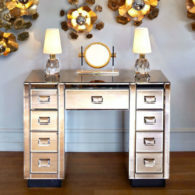 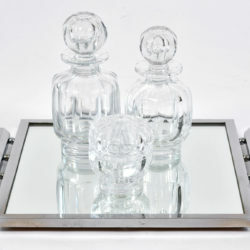 Beautifully shaped Baccarat crystal dressing-table set of three pieces. 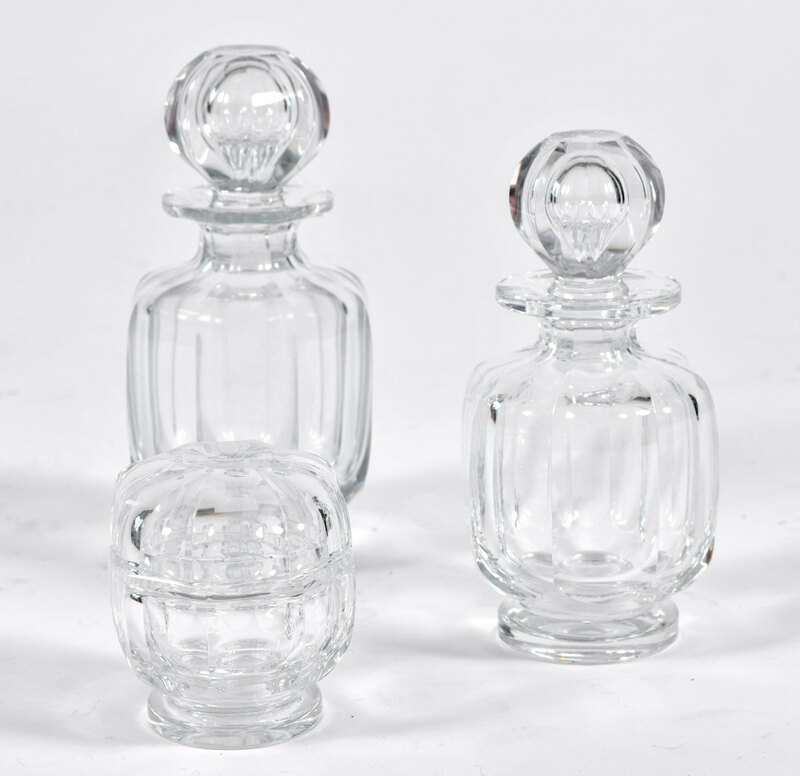 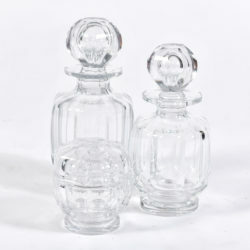 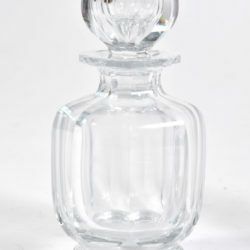 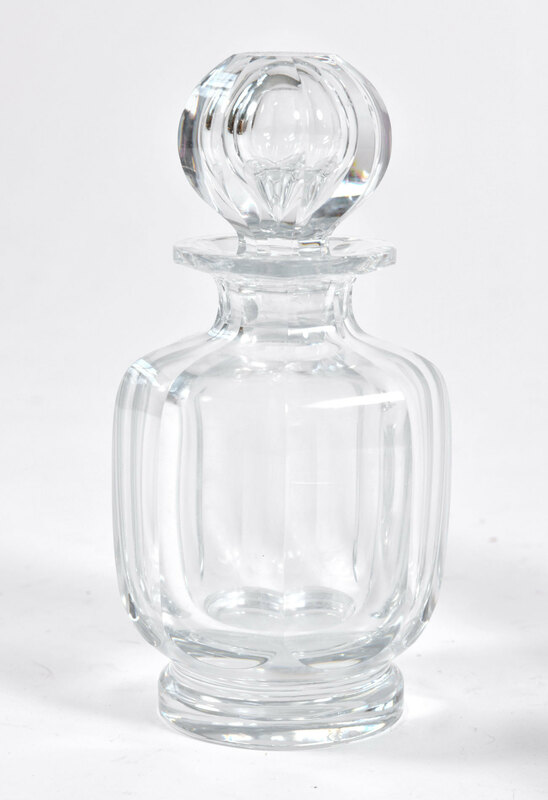 The faceted crystal bottles with multi-faceted octagonal stoppers are perfect for holding large amounts of perfume. 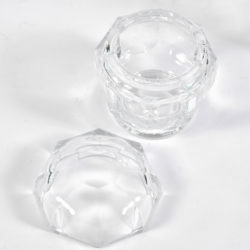 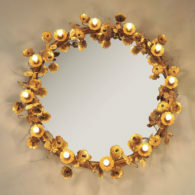 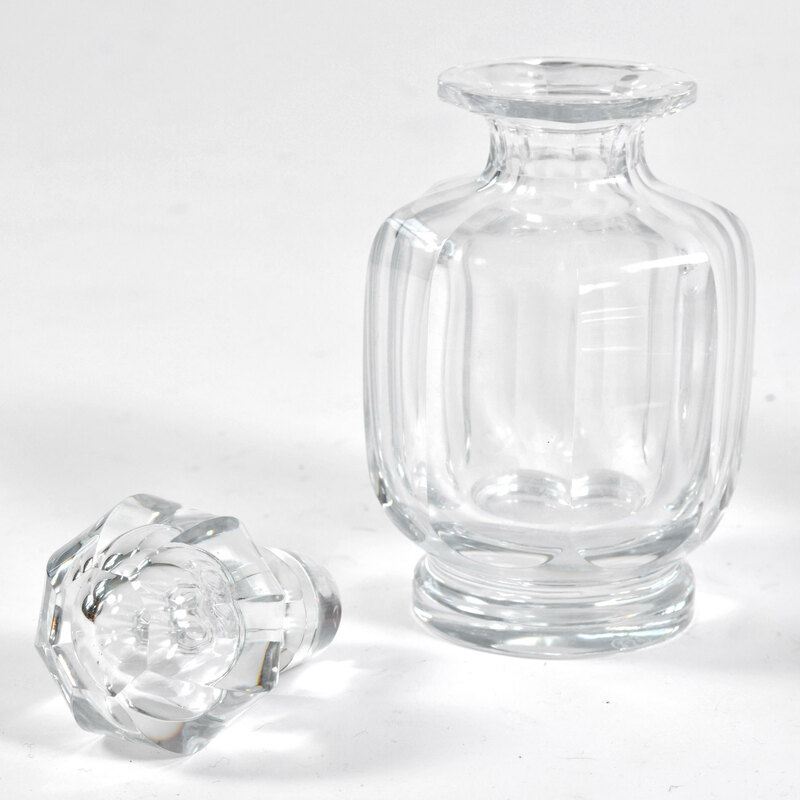 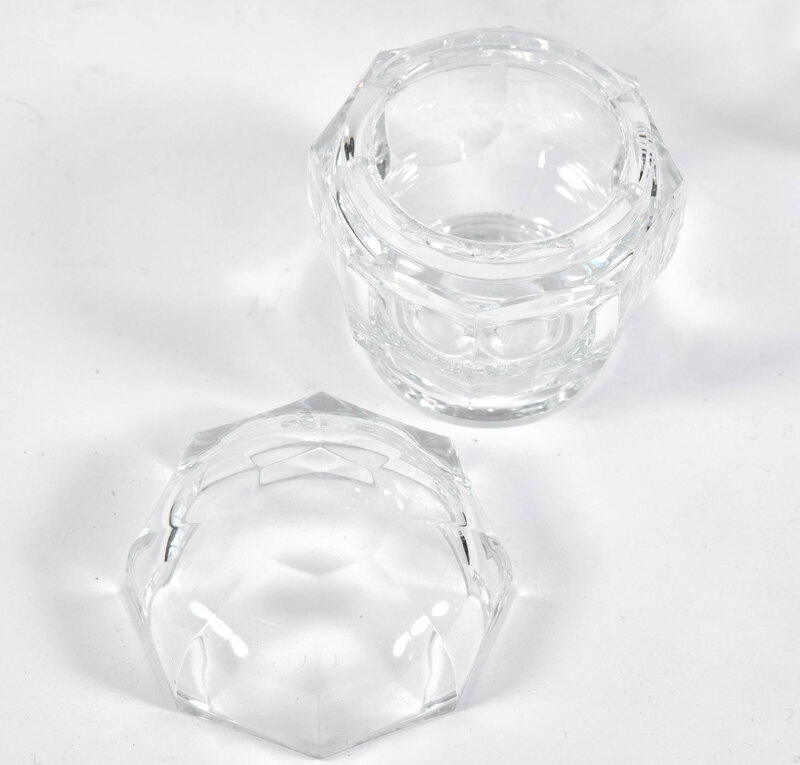 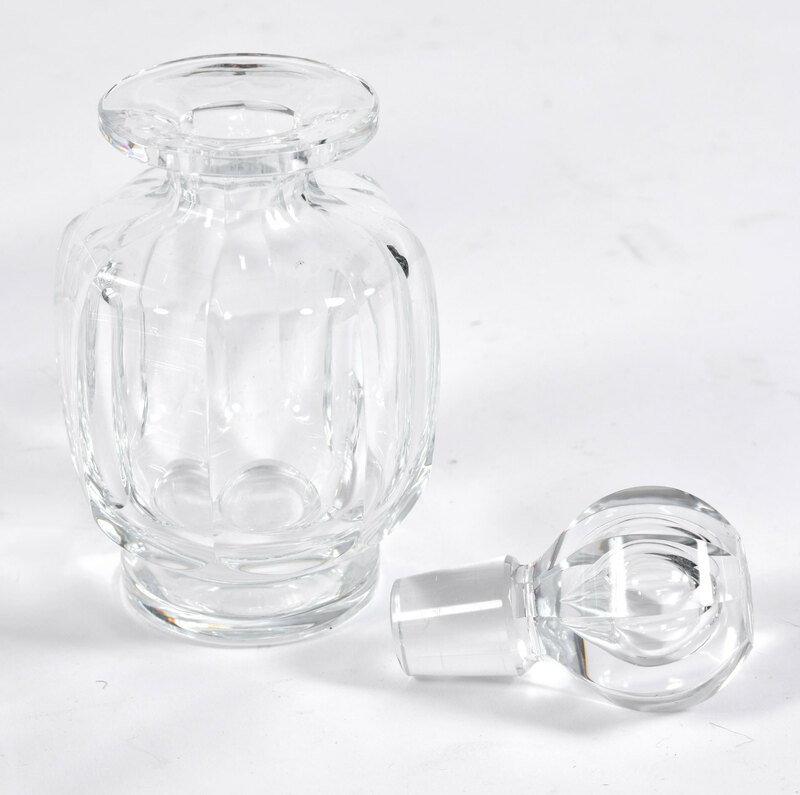 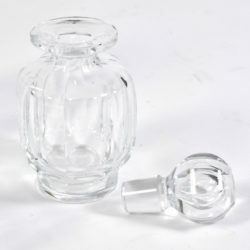 The octagonal crystal lidded pot is perfect for small item storage. 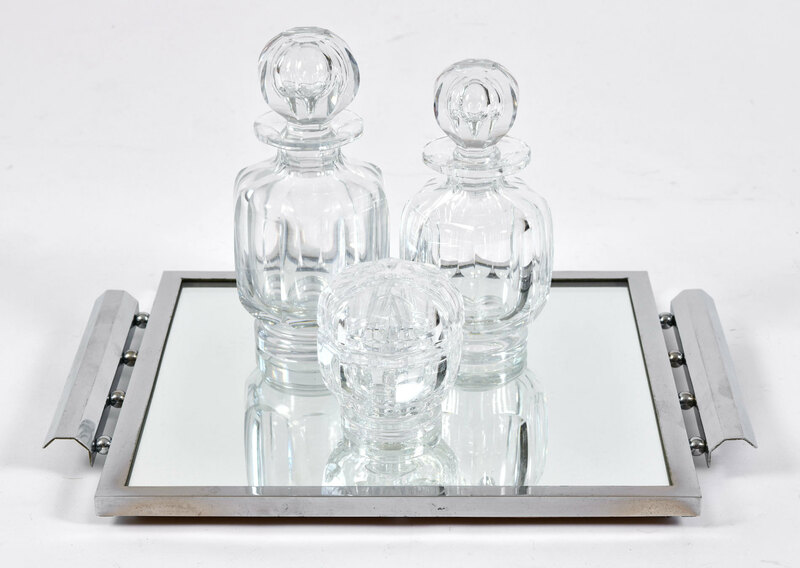 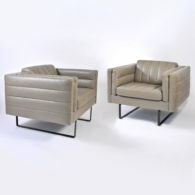 Signed 'Baccarat France'.